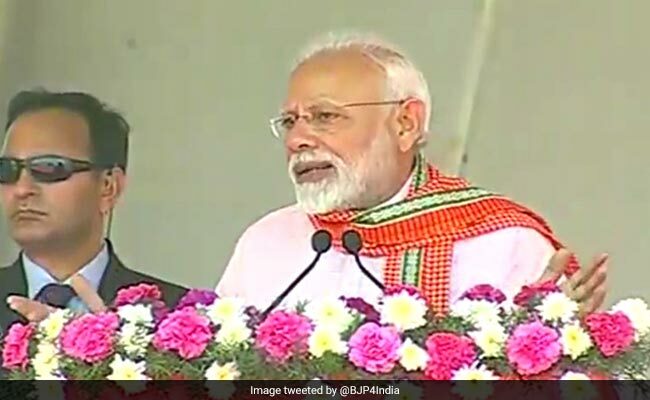 Emphasising the increase of 30 per cent in undergraduate medical seats in the last four-and-half years, Prime Minister Narendra Modi on Sunday asserted that NDA government is giving priority to healthcare so that all citizens are healthy and healthcare is made affordable. “The numbers of undergraduate medical seats have been increased by almost 30 per cent in last four-and-half year, the launch of Ayushman Bharat is also a big step. It is a carefully thought out approach to ensure the implementation of universal health coverage for our country. The 1 .5 lakh health and wellness centres are being set up to provide comprehensive primary care and preventive health services,” said Prime Minister Modi. PM Modi also inaugurated the super speciality blocks of Rajaji Medical College, Madurai, Thanjavur Medical College and Tirunelveli Medical College as part of upgradation projects of these facilities.